Visitation will be Sunday, Jan. 3, from 4 p.m to 7 p.m., at the Egesdal Funeral Home in Gaylord, and will continue one hour prior to the service at the church on Monday. Casket bearers will be Derrek Schmidt, Amber Schmidt, Bethany Christenson, Kathryn Christenson, the Rev. Dr. David Christenson and Keith Schmidt. Interment will be in the High Island Cemetery in New Auburn. Arleen Florence (Wilking) Schmidt was born Feb. 26, 1934, in Granby Township, Nicollet County, the daughter of Ernest and Edna (Krohn) Wilking. She was baptized as an infant on March 11, 1934, at Trinity Lutheran Church in Nicollet by the Rev. Koehler, and was confirmed in her faith as a youth on March 30, 1947, at St. Paul’s Lutheran Church in North Mankato by the Rev. R.A. Haase. She received her education in North Mankato. On Aug. 5, 1956, she was united in marriage to Werner Schmidt at St. Paul’s Lutheran Church in North Mankato by the Rev. R.A. Haase. After their marriage, the couple resided in New Auburn. In March 1968, they moved to their farm in New Auburn Township, Sibley County. She was a loving mother and homemaker. 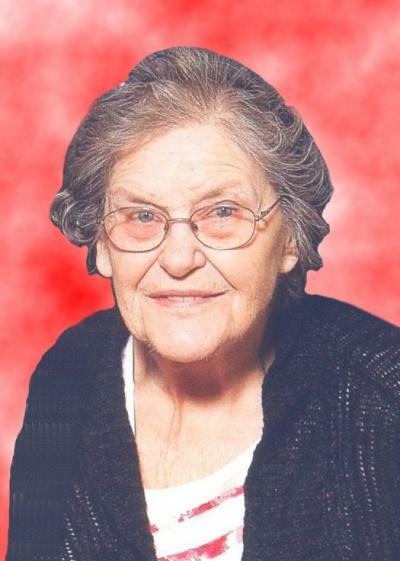 She was a member of St. John’s Evangelical Lutheran Church in Helen Township. Mrs. Schmidt enjoyed baking pies, bread and making grandma rolls. She also enjoyed flowers, gardening, embroidery, cooking, her chickens, antiques, garage sales and taking care of animals. She loved spending time with her family, especially her children and grandchildren. When she needed assistance with her daily care, she became a resident of the Good Samaritan Society in Arlington. She is survived by her children, Janell (the Rev. Dr. David) Christenson of Sioux Falls, South Dakota; Keith (Pauline) Schmidt of Glencoe and Melanie Schmidt and her significant other, Joseph Cox, and son, Ethan, of North Mankato; grandchildren, Bethany Christenson of Minneapolis, Kathryn Christenson and special friend, Drew Kramer, of Minneapolis, Derrek Schmidt of Glencoe and Amber Schmidt of Glencoe; sisters and brothers-in-law, Lois and Paul Bjorklund and Mavis and Herbert Guse; and other relatives and friends. She was preceded in death by her parents, Ernest and Edna Wilking; and husband, Werner Schmidt. Arrangements were by the Egesdal Funeral Home in Gaylord. Online obituaries and guest book are available at www.hantge.com.